“Video file format not supported”- how exasperating this message is, isn’t it? When you download a video and get all excited to watch it but there pops up this irritating message which stops you short. No one deserves this interruption, not even your worst enemy. You then desperately search for a way to fix it. Don’t worry, we got your back. 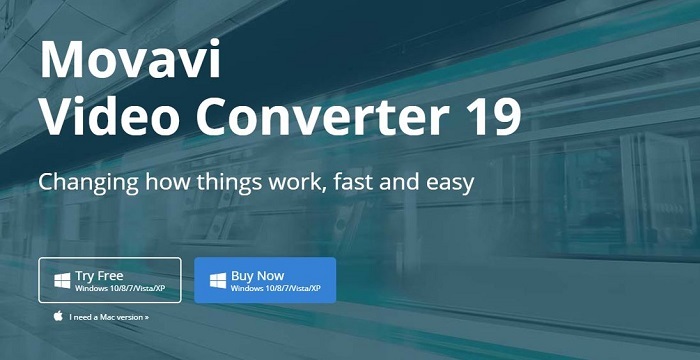 To deal with this common and highly infuriating situation, we bring to you 10 best video Converter software which will save you. It’s not easy to find top quality Video Converter Software. The web is full of these kinds of software. 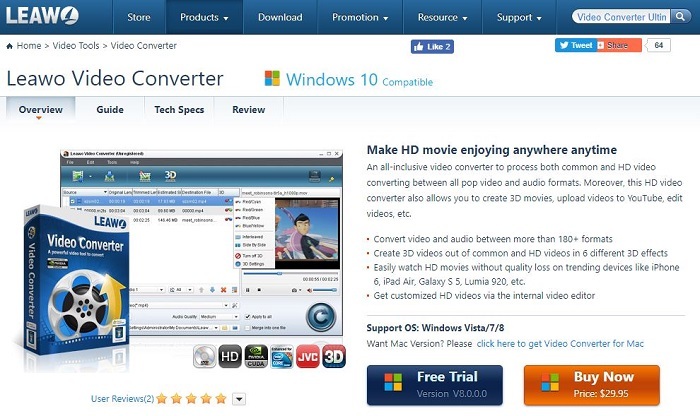 In fact, a user should choose a video converter software on the basis of his needs. We have prepared a list of some featured pack software. You will for sure like this. So, let’s start and move to the next step. Wondershare is a free video converting software which has a myriad of features which are all free too. You can convert videos to MP3 format or convert other audio file formats to MP3. You can convert a video to MP4 format or from MP4 to other formats. Wondershare can also convert MP4 to MP3, a file to DVD format or from DVD to MP4 or other formats. Want to convert video links to MP4 or MP3? Want to download YouTube links? It’s all available here. You can also convert videos to be used on various devices like iPhone, iPad, PSP and more. Do screen recording, make GIF, and also convert 4K or HD videos. You can also fix metadata information automatically or manually. Best of all, Wondershare does not discriminate between versions and is available for free to Windows XP/7/8/10. 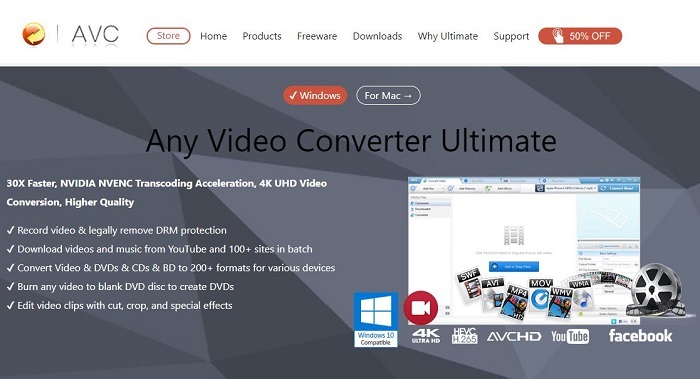 Its fast conversion time, high-quality output and tons of extra features make it the best choice for a video converting software, and the new premium version called the ultimate version is incomparable. It delivers many advanced video conversion or editing features without limit. The premium version has to be bought and it displays various plans of which the most popular is the Lifetime Plan which provides Wondershare for a one-time fee of $59 with free updates. 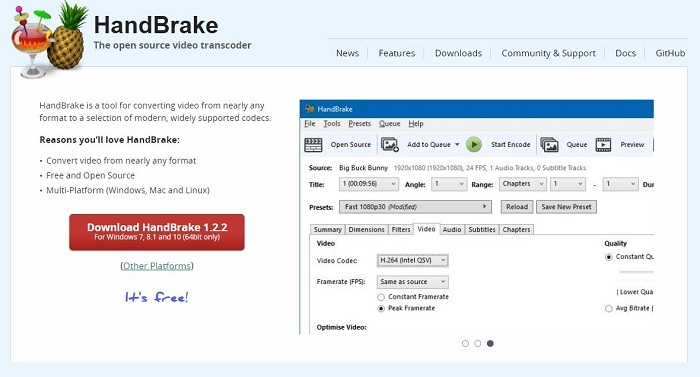 HandBrake is a free and open source video transcoder for converting a video from nearly any format to another. It is not only available for Windows, but also Mac and Linux and is the most widely used multi-platform video converting software. It has built-in device presets which allows you to get started immediately by choosing a profile optimized for your device or by choosing a universal profile. You can start simple or go advanced by tweaking the various options available. It can process all the common multimedia files and also any DVD and Blu-Ray content which do not have copy protection. HandBrake supports batch scanning, queuing for encodes, subtitles, and also offers support for VFR and CFR. It provides constant quality and video filters as well. The source code is available on GitHub for anyone who wants to contribute to the community. Ashampoo video converter is one of the easiest converters to use in the market. You don’t even have to choose a format to convert to if you don’t know what is best for you. Simply choose your file, choose the device you want to play your video on and that’s it! Ashampoo video converter will automatically convert your files for you. It provides support for all devices like iPhone, iPad, Windows phone Xbox etc. Comfortably perform functions like batch processing, extraction of audio files, merging of movies and a whole lot more. 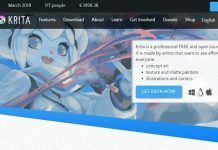 It even picks out the right format which you might need for sharing a video to social media platforms, and the full version is available for only $21. You can buy it or use the free trial version for some of the best video conversion features you have ever dreamt of. 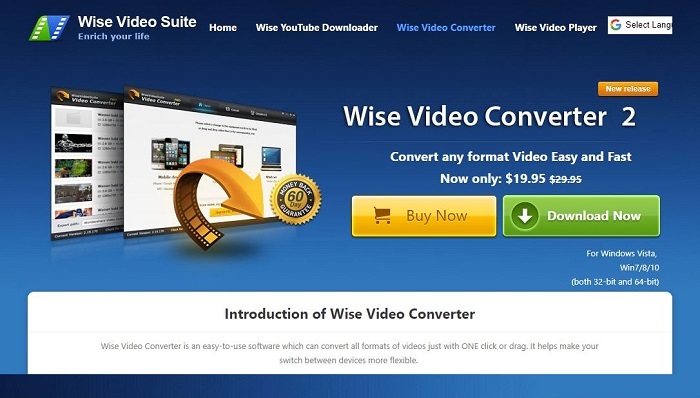 Wise video converter is an easy to use video converter with a convenient drag and drop feature, which makes it a simple and useful tool. To get started with a conversion, simply drag and drop the files into the window and your high-speed conversion will start. It supports conversion into numerous formats like 3GP, AVI, DAT, MOV etc. you can convert videos in batches with a single click and it can convert videos compatible for all devices. A portable version is also available for easy installation in different devices. 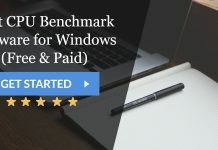 It is available for older versions of Windows as well as the new version and you can either use it for free or buy it for just $19.95 which is definitely a great deal! However, the video converter does not support youtube downloading. You need to download the Wise Youtube Downloader to download youtube videos. 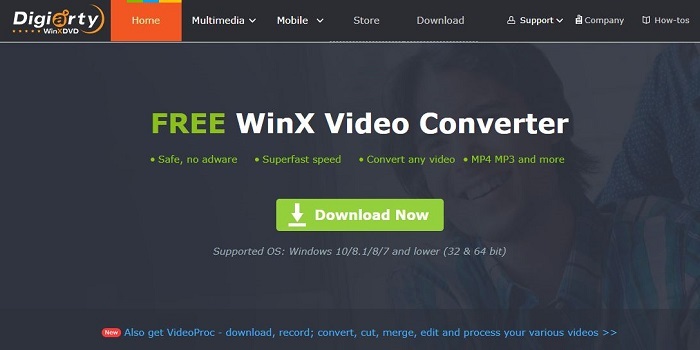 winX is the best video converter for Windows 10. It lets you to easily convert videos MP4, MKV, AVI or other formats. You can also edit the video if you wish to and you can do it all with lightning fast speed. It can convert for use on mobile devices and it is perfectly safe and clean, free of any adware. You can also encode videos from MP4 to MP3 format and download videos from social media websites like youtube and facebook. It provides 4K and HD online support and also lets you resize videos for the web without any loss in quality. 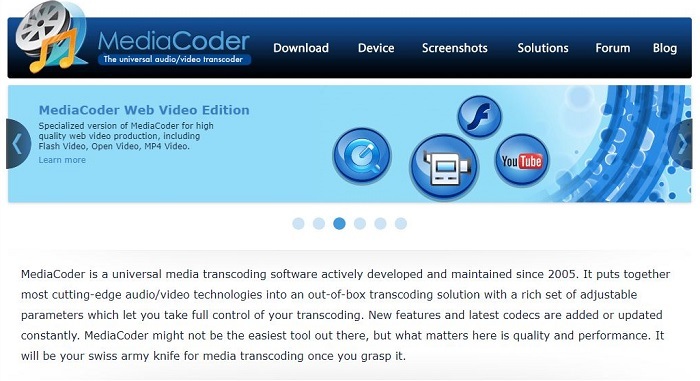 Media coder is a universal media transcoding tool which puts together wonderful, cutting-edge technology to convert videos from one format to another. You can convert between all popular audio and video formats and has a set of rich transcoding tools for adjusting and tuning your videos. You can apply filters to videos and edit them smoothly. MediaCoder can also capture videos from video cameras. It can improve compression for files, convert media content for playback on multimedia devices, extract audio files from videos and so much more. It’s not the easiest tool to master but it’s quality certainly makes it worth all the trouble. It’s free and also provides a portable version for deployment. The leading company for photo editing and vector designing also has a marvelous video converter in its wide array of products. It is super fast and provides effortless conversion with a very beginner-friendly interface. You have all the required video conversion features like conversion for devices, video editing, extracting audio files, batch conversion, etc. It is, of course, available for windows but also has a Mac version if you want one. Movavi lives up to its name and delivers another great product. You can try it for free or buy it with the popular Lifetime Version plan which provides all the features for a one-time fee of Rs1699. Using Any Video Converter, you can record videos and legally remove DRM protection, download videos in batches from youtube, convert videos into different formats 30 times faster than traditional converters, and so much more. It is compatible with over 200 video formats and supports NVIDIA NVENC transcoding acceleration. It is also an amazing tool for converting DVD and Blu-ray formats to MP4 and the likes to be watched anywhere. Any Video Converter preserves 100% of the image and audio quality and you can easily edit videos too. It also guarantees safety. You can try it for free or buy the package for $69.95. 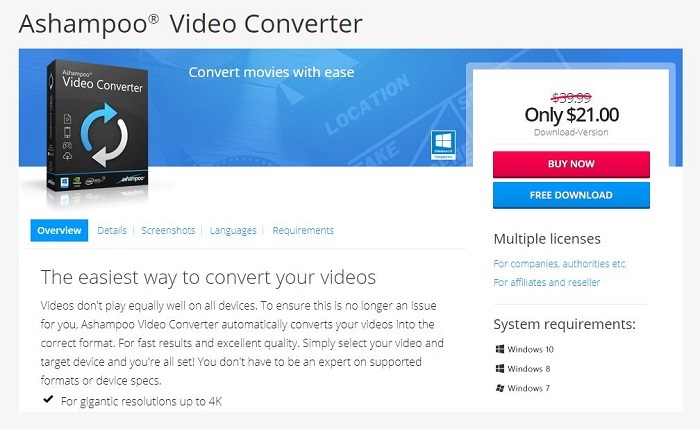 Leawo Video Converter is an all-in-one application to allow users to convert videos in a host of different file formats. It is quite lightweight and little memory is used in downloading the application. Leawo also recognizes all major codecs and allows you to seamlessly merge files with each other. It supports batch conversions. However, there are no advanced editing options and lesser-known codecs will not be recognized. It offers a free trial version for Windows but to access the entirety of the software, you need to buy it. Also, it is kind of outdated now, as better software has entered the market. Total video converter is a powerful video converter which converts any audio or video to MP4, AVI, etc, and for different devices, like iPhone, iPad, PSP. It can burn any video to DVD AVCHD, and Blu-ray too. It has features to add effects to videos and has high compatibility and efficiency for Importing RMVB or RM video or audio. This video converter also supports almost all video and audio file formats and, can rip DVD files, extract audio files, and merge several audio and video files into one file. You can even make slideshows using Total Video converter. The new updates have many more features. You can use the free version or buy it for $29 only.